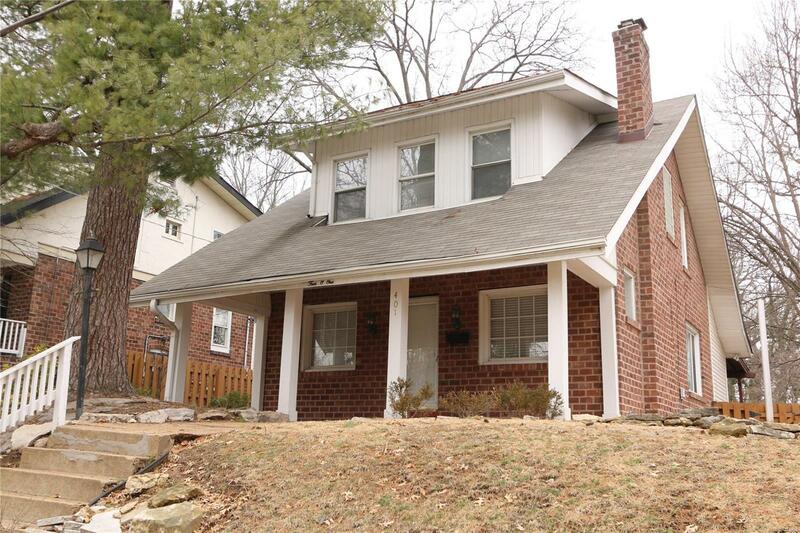 You will love this spectacular Webster Groves home situated on nearly a .25 acre lot, boasting 3 Beds/2 Baths. Covered front porch, art glass windows & beautiful hardwood flooring are just a few features of this beautiful home. Upon entry, you are greeted by the expansive Living Room with gas burning fireplace. Open floor plan flows from the Living Room to the Dining Room & Kitchen. The Sitting Room adjacent to the Kitchen is an ideal place for family & friends to gather while you're preparing meals, a great place to unwind or simply a cozy spot to daydream. Enjoy outdoor living or entertaining on the large covered back patio. Vaulted Master Bedroom has 2 closets! Full Bath remodel includes tile shower surround, glass block window, vanity & more! Donât miss a convenient LL Full Bath. Detached 2 Car Garage with additional covered storage area. Other updates: newer roof, driveway & east retaining wall. All of this situated in a convenient, friendly neighborhood with outstanding schools!